Heron in a hunch, reflecting on lunch, perhaps. 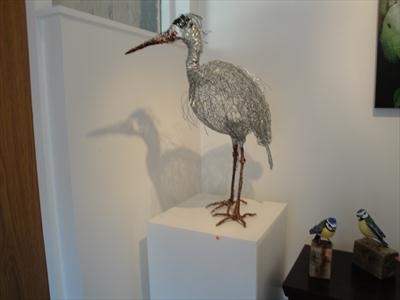 Slightly larger than life size proud heron. 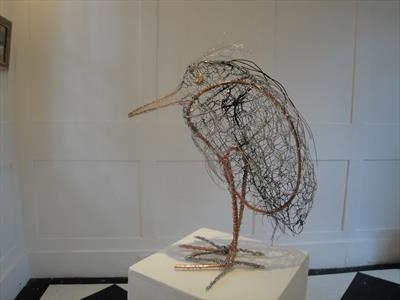 Copper, galvanised and other wires. 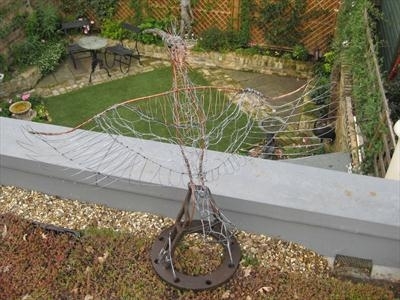 Hoopoe made of wire and reclaimed steel from boatyard. Commission for rooftop perch. 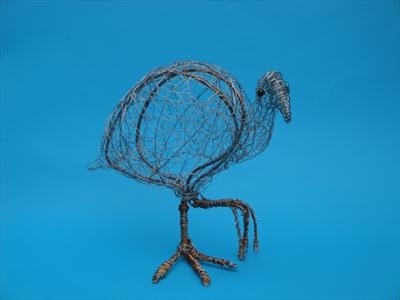 Wire coot, suitable for indoors or out. 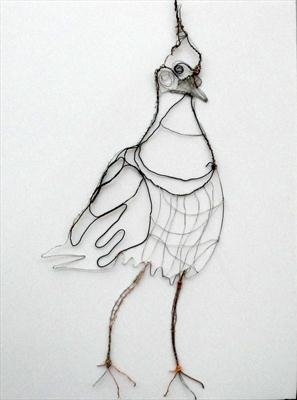 Made of copper and galvanized steel wire. 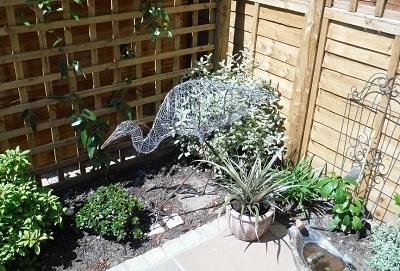 Assertive wire heron suitable for indoors or out. 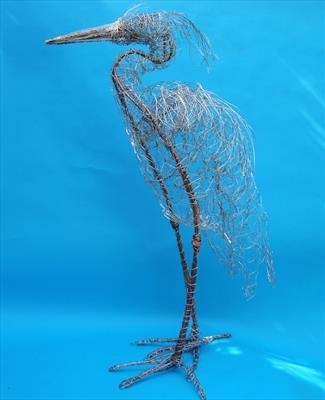 36" x 14" x 34"
Garden heron, no danger to fish or frogs. Drawing with various coloured wires mounted on canvas. 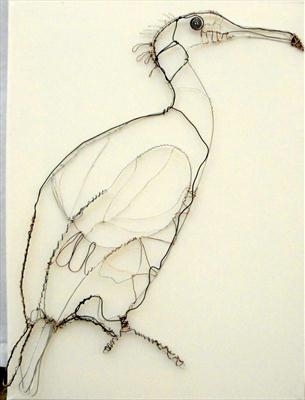 Drawing in various wires attached to canvas frame. 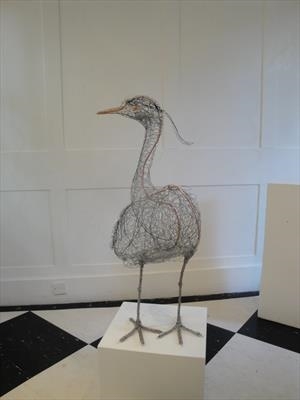 Can be hung straight on wall.